Morning Devotion: What is a life? Last year around the holidays a friend of mine passed away. A man who was not old, still full of life. He woke up one morning feeling a bit off and died before anyone could get to him. I could not attend the funeral because it was out of the country. Yet I had my own memorial with Jesus. I thanked God for a good man, a kind man, an unselfish man, a generous man, and one who made others feel great about themselves. When young there can be this thought of, “I have forever!” I am in my 20s, 30s, 40s, 50s, 60s…I have time. Yet we have this moment. As I wept over someone I loved, I also thought of what is a life? Our culture makes life about material things, fame, building our mini kingdoms, family…things that absolutely have no significance when you stand before a Holy God. Everything we have here is a gift, it is not to be the meaning of life. The meaning of my life is to glorify God, not be a scientist, aunt, friend, minister to people. My life is hidden in Christ and my identity is daughter of God. The purpose of my life is to love God, make Him known. I thought of the people willing to sell their souls for what is fleeting. I thought of those who did not love thinking they could make amends later. I thought of those who mistreated and stepped on other people trying to climb an imaginary ladder that leads nowhere past this temporary earth assignment. I thought of those who wasted their lives chasing temporary things when they would spend eternity either seperated from God in torment or without heavenly rewards because they lived quite selfish lives. I thought of those who never shared Jesus with anyone. I thought of the time wasted on what would not matter in the end. It is a gift from God that is intended to be marked with radical and profound love. We were created by love, to be loved, then to love. God will measure our lives not only by faith in His Son, but by love. I loved my friend while living, so I had no regrets at the end. I had no times of treating him like he meant nothing. That’s not who I am. I loved him while I had him, knowing that people are on loan to us. We are not owners we are stewards. I am always shocked by those who invest nothing, do not love well, do not steward relationships well who become outraged or upset when those relationships die (naturally they drift apart or the person dies). Add value while they are living! Send flowers or cards while they are living. Encourage while they can hear you. Reach out and invest while they are living. Be a good friend! Make life about pursuing loving well. In the end no one will recall how many Facebook or Instagram followers you had. No one will recall your great messages or sermons. No one will care how many platforms you stood on or how much audience applause. They will recall how you loved them. They will recall how you made them feel. What does it profit a person to gain the world and lose their soul? What does it profit a person to store up treasures on earth where rust and months destroy? The treasures remain here when we die. If we do not know Jesus, our sins are not atoned for-they stand on our record. Those who’s names are not written in the Lamb’s Book of Life will stand guilty before the Lord. We cannot earn good standing with God through good works. Our self righteousness is as filthy rags before a Holy God. We need a way to have a clean slate. Jesus paid a debt we could not pay, to save a life! What are you living for? Will it matter on the day you meet your Maker? Will it matter in eternity? Does it impact the world for good? Is it fueled by love? God’s love? Why are we here? God so loved the world, He created humanity then redeemed humanity through faith and following His Son. We are carved out of the heart of God for a temporary earth assignment that is training for reigning in an eternal assignment. This is the shortest time we will ever live. We are headed for Paradise with God, or Torment with the evil one. May you and I live with an eternal perspective. May our hearts overflow with the love of God that says, “I am here by love, to be loved, then to love!” May those around us be positively impacted by our lives. May we steward who and what we have well. May we leave a mark of excellence and love for Jesus. May His plans be fulfilled in our lives because they far exceed what we can think up on our own. My friend marked my life with kindness, joy, encouragement, and friendship. He loved well. May we be those who mark this world with love while we are living! Don’t waste today!!! Love today. Choose love today. Give, and it will be given to you. A good measure, pressed down, shaken together and running over, will be poured into your lap. For with the measure you use, it will be measured to you,~Luke 6:38. Don’t look out only for your own interests, but take an interest in others, too,~Phil 2:4. One of the major causes of depression is selfishness. You might think, “No way!” Yes way. When our focus is always ourselves we will not be happy or have joy. Why? Because God did not create us to be self centered. We were created to connect first to God, then others. The God sized void can only be filled by Him. Once He fills us up, He intends for us to pour out. If we don’t, we implode. Have you ever had a plant that grew wildly? I have. I have a set of plants that once they grow to a certain size they stop because they are root bound. They need split or repotted to keep growing. If I over water or over feed them, they die. God intends for us to grow, to help others grow, & to enlarge His Kingdom. We don’t give to earn God’s favor. We don’t give to primarily get from God-though He rewards givers with pure motives. We don’t give so people think well of us. We give because God’s love causes us to become generous. We give for His glory, His fame, and His goodness to be shed abroad. It’s not about us or them. It’s about Him. It’s about the world encountering Christ in us. He’s what the world needs. Introspection, self pity, self focus, what about me?, look how bad it is for me, poor me,…has never solved anything. Jesus is the one we focus our eyes on and entrust with our burdens. God has brought great comfort in dark seasons of my life. 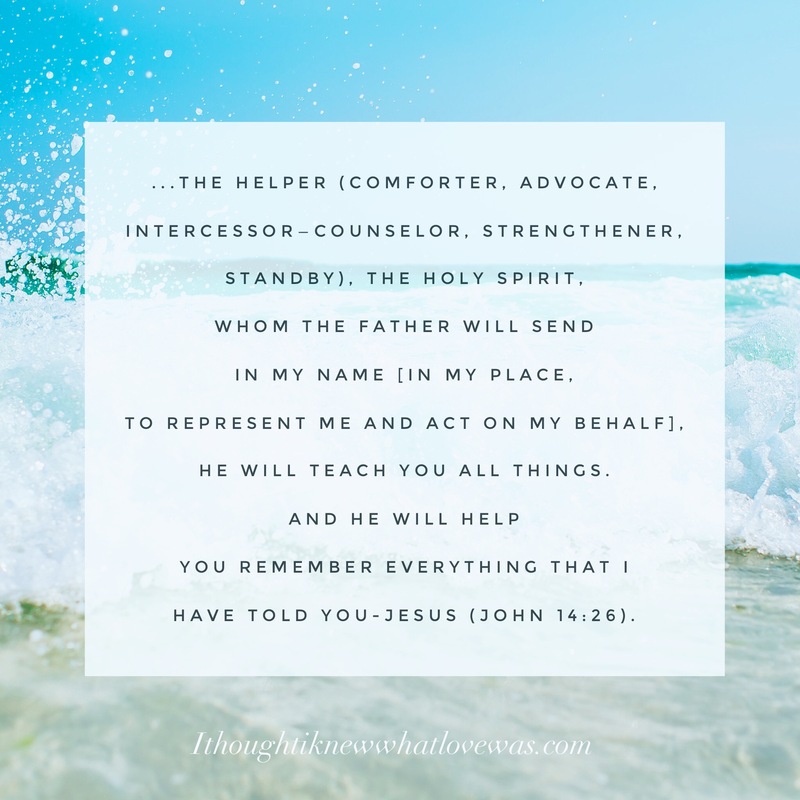 In loss, tragedy, betrayal, sickness, etc…He never refuses comfort. He does not, however, enter into pity with me. He brings hope. Do you want help? If not, then I still love you, but I can’t force help on you. Which leads to my last point. It’s incredible to help other people and love them. It’s a trap to aimlessly pour out. Some people don’t want help. Some people are in the situation they are in because they created it and trying to get them out will hurt them-they won’t learn from their choices. Some people want others to do for them what they need to get directly from God or for themselves. Some people are users and look for anyone they can drain dry. Some people will take what you give and throw it in the garbage. Giving, like anything else, requires wisdom. When we do street ministry, we feed people, provide necessities, etc…we do not give cash. Many of the people, through their own confessions, have substance abuse problems. We love them. We don’t enable them. If your enemy is hungry, feed him. If he’s naked, clothe him. Unless God prompts you to, I wouldn’t empty my bank account to some random person and say I’m generous. God intends for seeds sown to produce a harvest for Him. God is generous and wise. Just read about the parable of the talents (Matthew 25). God intends for us to do something with what He gives. Freely you receive, freely give,~Jesus. If you have a million dollars and you give 1 dollar to a million people, have you helped them? Versus splitting it between 10 people. 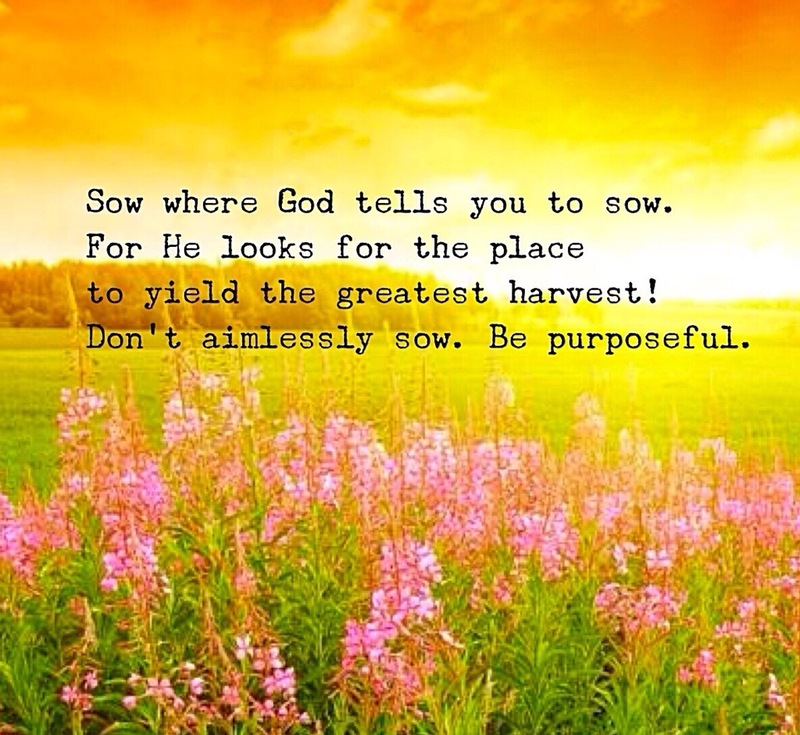 God knows where you should sow to yield the greatest harvest for His Kingdom. I’ve spent years pouring into people and situations that yielded nothing but frustration. Why? It wasn’t my field of harvest. 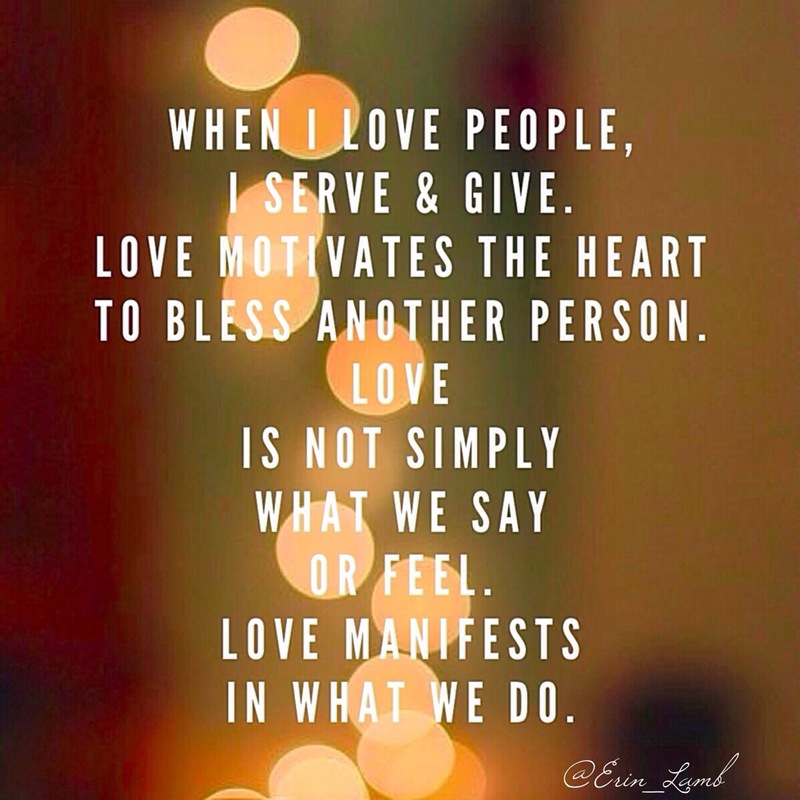 The people I targeted to love and pour into were chosen by me, not God. And since I was raised to be a giver, I chose to give 100% to everyone. That dear friends leads to burnout and being used and abused. Jesus had 12 disciples and chose 3 of them to be closest to Him. We think God is out fixing everyone’s messes, but He’s not. That’s not good parenting. He allows us sometimes to face the earthly consequences of what we’ve done. If we repent we are forgiven in heaven, yet there are some consequences on earth. Where’s the joy in giving? You see heaven invade earth! You see God move radically in the lives of others. You invest in a Kingdom that cannot be shaken. You imitate Jesus who came to serve, not just be served. You re-present Him to the world. You demonstrate to the world who God is: generous, kind, compassionate, and loving. When you partner with God there’s joy. What we do primarily for ourselves dies with us. What we do for His Kingdom remains eternal. What can we do to partner with Jesus so He gets the greatest reward? Where does God want us to sow? How can we fix our eyes on Him and eternity not the temporary things of this world? There is joy in being a blessing to Jesus by investing in His Kingdom. May our eyes be upward then outward. Someone needs what we carry. May we be led by the Spirit to bring Jesus the greatest reward!! !